Can You Fire an Employee on Worker’s Compensation? Statutory worker’s compensation benefits are available in Florida to ensure employees are protected for injuries sustained on the job. These benefits can take the form of lost wages, medical expenses, disability payments, and the cost of rehabilitation. This benefits the employee, of course, but also the employer, because it reduces the risk of a costly lawsuit. For some employers, however, the cost of worker’s compensation is simply too high; as a result, if they believe the claim is illegitimate, they may dispute it in court or even try to fire the employee making the claim. It is important for employers to remember, however, that they cannot legally fire someone for claiming, or attempting to claim, worker’s compensation benefits in the state of Florida. Indeed, part of the statutory workers’ compensation scheme specifically prohibits such retaliation, regardless of the underlying nature of the claim for benefits. Technically, of course, an employer can come up with any number of reasons to fire an employee, even if they are on worker’s compensation. But this could lead to a lawsuit if the employee feels his or her claim or attempted claim for workers’ compensation benefits played a role in the termination decision. Even if the employer has a legitimate reason to terminate, doing so on the heels of a workers’ compensation event may not be the wisest decision. As is always the case, it is important to keep a well-documented record of all workplace conduct, particularly if such conduct is used as a reason to substantiate termination. Demonstrating and recording an employee’s inappropriate actions is a good way to show that their termination was not due to a claim or attempted claim for workers’ compensation benefits, but because of other reasons entirely. Some of these offenses are simple: lying, violations of company policy, unverified absences, insubordination, theft, felonious behavior, and so on. Others, like generally poor job performance or work ethic, are more complicated. But if these are among the reasons you have fired an employee, and they have been documented by management or human resources, it will be much, much harder for an employee to successfully pursue a claim of retaliation under Florida’s workers’ compensation statute. 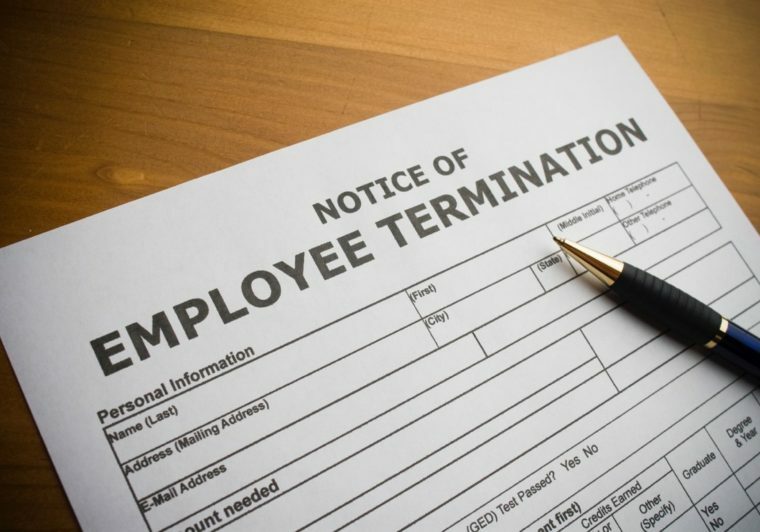 Even if everything is documented correctly, there is always the possibility that the former employee feels wronged by their employment termination. This is why evidence of offenses is crucial – because you may need to prove lawful termination in court. Without actual documentation, all that will remain is the timeline, which will show that they were fired after claiming or attempting to claim workers’ compensation benefits. From a timing standpoint, this obviously looks bad for a company, so it is important to protect yourself. For more questions on crafting smart policies and safeguarding your business, get in touch with a Florida Bar Board Certified Labor and Employment Law Specialist at Padula Bennardo Levine, LLP.